Sure I have a lot of experience cooking chicken thighs for barbecue contest. Do I like thighs? Yes I do. Are they my fav part of the bird? Nope because I’m a wingman. Hmm. . . I can’t think of anyone I know who doesn't like chicken wings. Do you? I love them and wings are my absolute favorite part of the entire chicken! Wing or drumette, I love them both. There are bazillion ways to do wings and you don’t have to wait until football season to enjoy them. 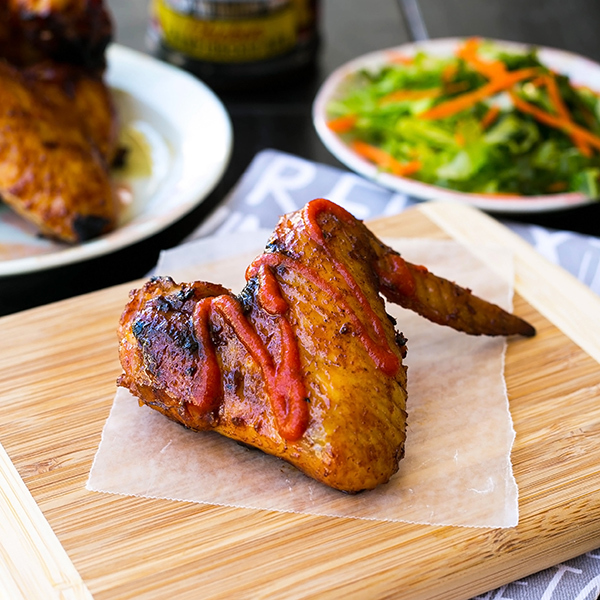 I like my wings sweet with a bit of kick and seasoned with my championship chicken rub which I used to win the 2012 KCBS TOY Chicken Championship. I received a standing ovation by several hundred pitmasters in Kansas City when I accepted the award, check, and banner. 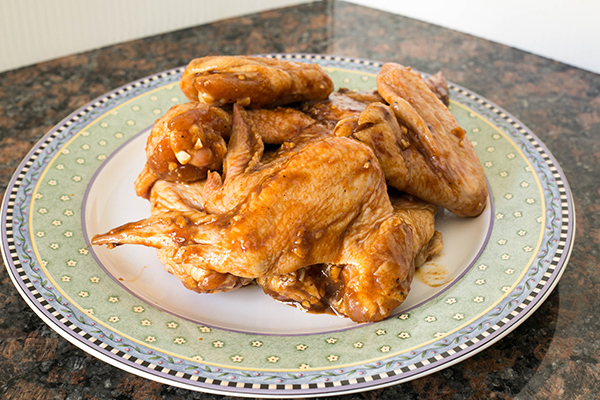 When you’re in the mood for wings, checkout my Asian flair chicken wing recipe. 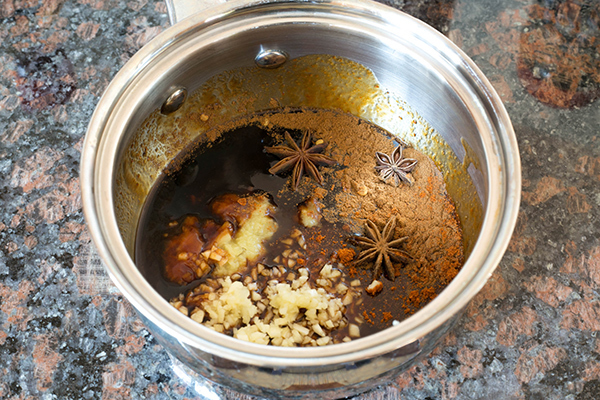 It’s got some aromatic five spice powder which is same spice used on Peking Duck. I like my wings big so I get the biggest ones in the store. About 2 whole wings are good as an appetizer sized snack. Simmer marinade ingredients for about 5 minutes until flavors are blended. Discard star anise. Allow to cool. Prepare a 325F grill with hot and cool zones. 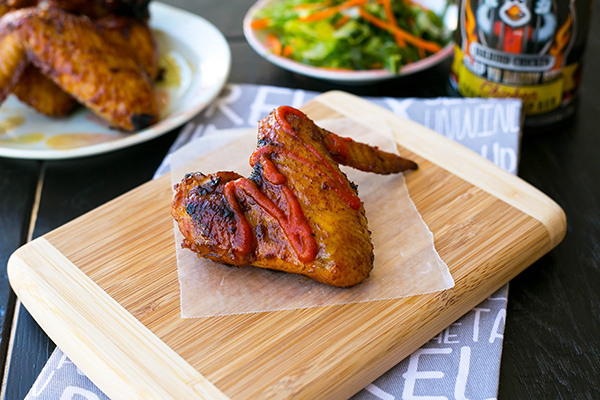 Remove the wings from the marinade bag. Drain the contents of the bag into a saucepan and simmer about 10 minutes until the sauce is reduced and becomes thick. 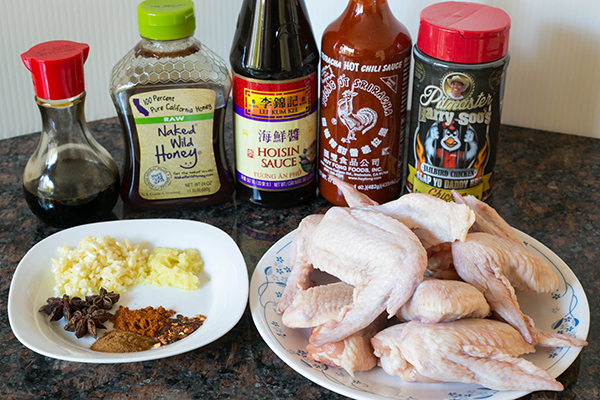 Do not omit this step to cook the marinade as it is used to baste the cooked wings. 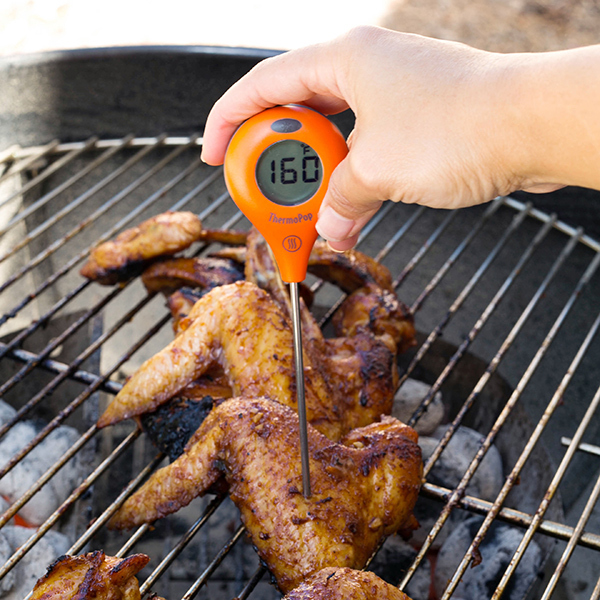 Alternatively, baste the wings with freshly made marinade that did not come in contact with raw chicken. Grill the wings on hot zone to gets some color and crispy skin. 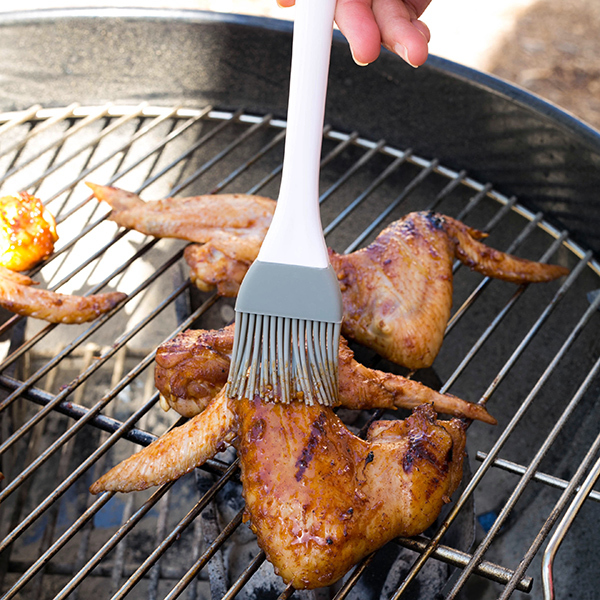 Baste the wings with the reduced marinade. Thanks for your comments. One recipe to try per week should be good! I’ll keep putting them out if folks continue to like them.